This year, I’ve been working hard to get the entire family healthy and happy, meaning that everyone’s busy getting plenty of exercise and great nutrition. It’s only fair that this exercise and nutrition makeover should start with me getting my act together. Every day, I wake up just a little before the family, and go downstairs for a short run, and spend some time doing yoga. Some days, it’s only a five minute run and a few stretches, but other days I manage to squeeze in a good half hour of activity before everyone’s up. It may not sound like a lot, but that’s healthy movement that I never used to do, and it’s a great start. It’s been a fantastic start to my day. I have more energy, and I seem to be making more healthy choices all around. That’s the power of one good habit. The only downside of my new morning routine is that I’ve found that I lag a little in the mid-morning. Because I’m exercising, I think my body needs more protein for energy, and to keep my muscles strong. The only problem is that I’m not made of time. I’d love to sit down at a high protein breakfast every day, but I just don’t have the hours to do it. 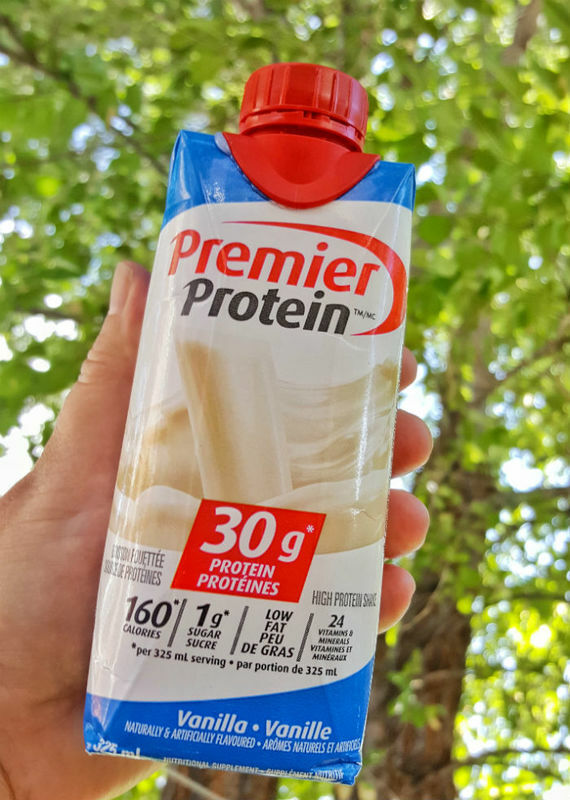 I’m loving how easy it is to get plenty of healthy protein with Premier Protein Vanilla Shakes. They have a whopping 30 grams of healthy protein per shake, and are the perfect thing to give me energy all day long. They have a new and improved taste, and they’re available at Costco stores throughout Canada. Tip! I love my Premier Protein Vanilla Shake ice cold! Want to find out more? 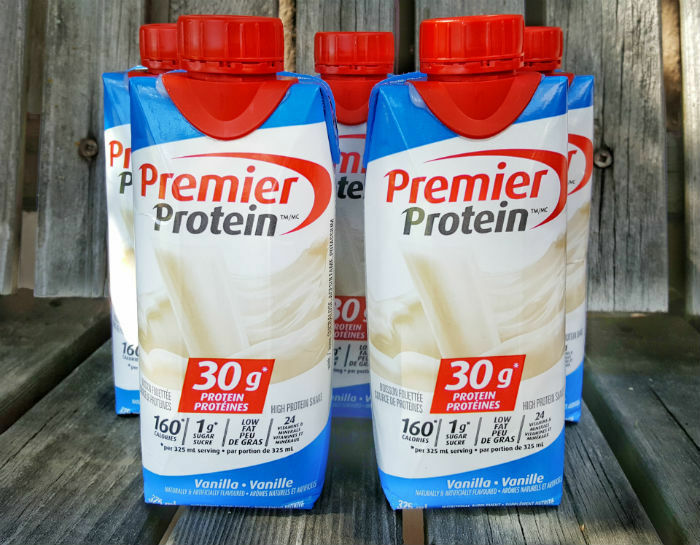 Check out Premier Protein on Twitter, Instagram, or Facebook. Looking for a special treat with lots of protein? 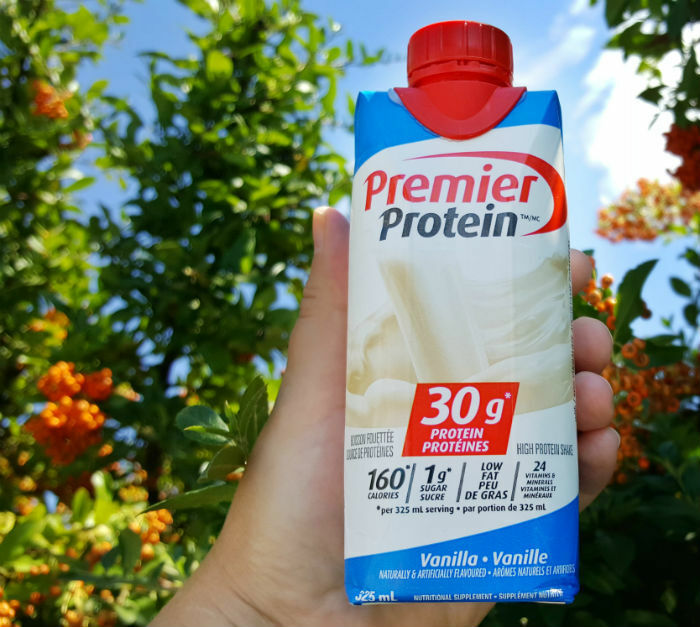 Then this vanilla fruit parfait made with Premier Protein Vanilla Shakes is perfect for you! Whisk Premier Protein and pudding mix for 2 minutes, and let sit for 5 minutes. 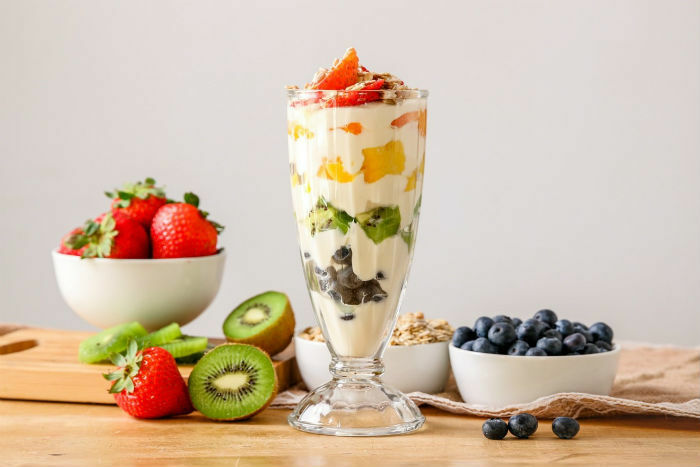 Layer pudding and fruit into a glass cup and enjoy! Looking for some more great protein ideas? Check out the Premier Protein Chocolate 30g Shakes and Bar Variety Pack (Chocolate Peanut Butter, Yogurt Peanut Crunch, Dark Chocolate Mint)!